On January 26/27, the asteroid 2004 BL86 will sweep past the Earth at a distance of 1.2 million kilometers, three times the distance of the moon. 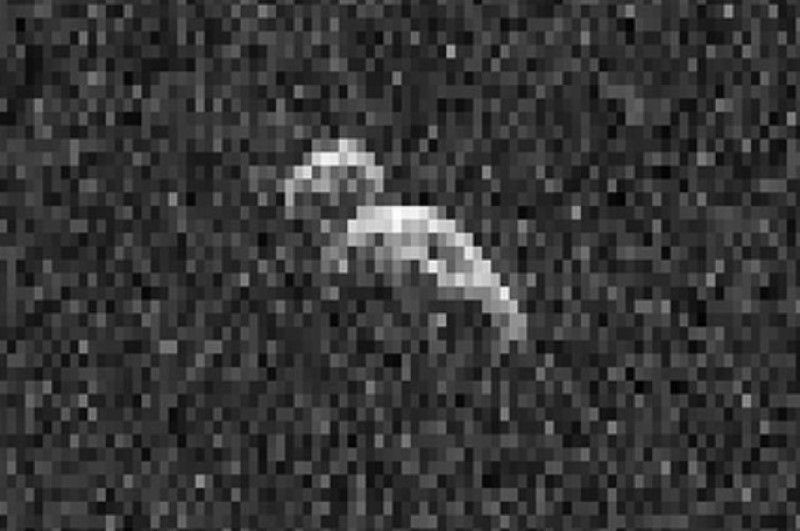 Closer asteroid approaches are common, but this one is gaining attention because of the size and brightness of the object involved. The website Lunar Meteorite Hunters lists 41 close asteroid approaches in January alone. However, some are as small as 24 meters across. The larger representatives, such as the 1.1 kilometer 2062 Aten, will pass at least ten lunar distances (LD) away; 73 in Aten’s case. What makes 2004 BL86 (also known as 357439) stand out is the combination of closeness and size. With a length somewhere between 400 and 900 meters, its passage at 3.1LD will be the closest approach of anything this size until 2027, unless an undetected object is waiting to give us a scare. Such a surprise is reasonably unlikely. The Jet Propulsion Laboratory believe they have found 90% of the objects this size or larger that frequently come into Earth’s vicinity. The appearance of a long period comet from the outer solar system cannot be ruled out, but close approaches don’t come along all that often. An asteroid of that size at such a close approach will make 2004 BL86 relatively bright. Not bright enough to see with the naked eye, unfortunately, but at magnitude 8.8 even the smallest home telescopes should pick it up under dark skies, as will many binoculars. Peak brightness will occur around 4am Greenwich Mean Time, at which point it will be visible over Europe, Africa and most of the Americas. Eastern Asia and Australia will get a chance to see the asteroid several hours earlier at closest approach. Being in a less favorable position for reflecting sunlight, it will be around a magnitude fainter at this time. At its closest approach, 2004 BL86 will be moving around 4° an hour, passing through Hydra, Cancer and Leo in the course of the night. Real time images and commentary will be available at The Virtual Telescope. Undeterred by centuries of failure, doomsdayers are taking this as a sign of the forthcoming apocalypse. In fact, 2004 BL86’s orbit has been mapped accurately enough to be entirely confident it will pass at a safe distance both this time and for millennia to come. If it did hit, however, it would do plenty of damage. While certainly not in the dinosaur-killer class, 2004 BL86 is big enough to create a crater perhaps 10 kilometers across. At least at the larger end of size estimates, its effects would be felt worldwide, with global firestorms, acid rain and an impact winter, possibly followed by a longer period of enhanced Greenhouse Effect. In the likely event of an ocean landing, the tsunamis generated would be devastating even thousands of kilometers away. If it’s cloudy in your area, you can also watch the asteroid pass us by live on Slooh’s live webcast.